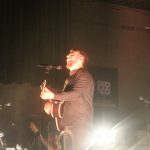 On Friday November 3rd, 105.7 The Point brought Our Lady Peace for their “Celebrating 20 years Of Clumsy” tour to the Delmar Hall. Along with a little nostalgic 90s time warp through the Clumsy Album era, they were also promoting the release of their new two part album “Somethingness.” Delmar Hall was packed with huddles of casually dressed fans ranging from teenagers to the longtime devotees, who probably jammed out to the original Clumsy Album CD in the 90s. 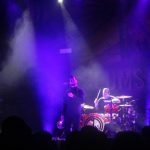 Although OLP sound has evolved, the diverse age range boasts on their authenticity that has continued to capture new fans at all stages of their morphing musicianship. 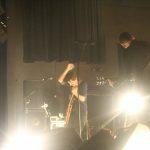 The show was kicked off by the genre bending, groovy sound of the experimental band SMSHNG HRTS. The trio is compromised of lead vocal guitarist Dylan, Martin on drums, and Jaden on bass. Jeff Burton of The Rizzuto Show, on 105.7 The Point, made an appearance on stage to hype up the crowds anticipation and energy for Our Lady Peace. 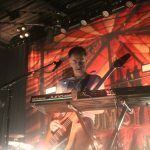 The backdrop design was a massive mural of a vintage red striped circus tent, reminiscent of the unforgettable sideshow concept from the “Superman’s Dead” music video off the Clumsy Album. 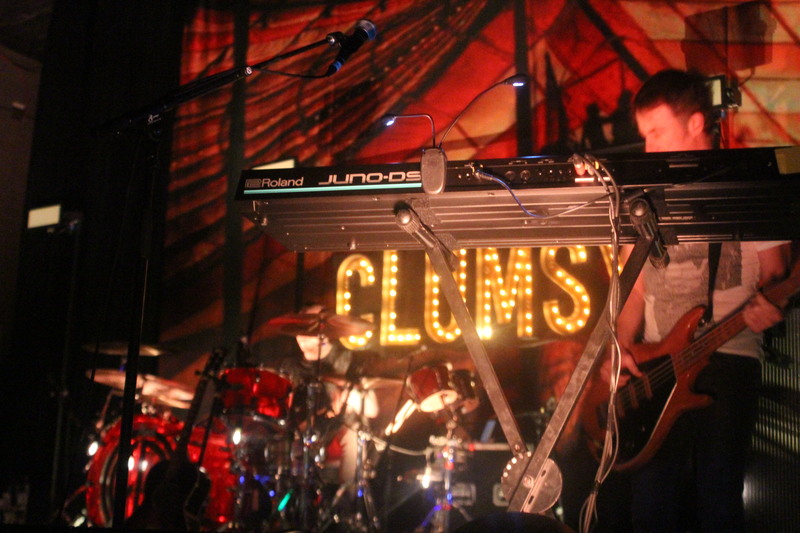 The attention was drawn to the middle of stage by a vintage marquee style LED sign illuminating the word “Clumsy”, in honor of the tour headline. 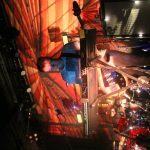 There were sporadic blinking circus bulb lights strung around the instrumentals, which included a red drum set with a peace sign, various electric and acoustic guitar options, and the Roland Juno DS keyboard. Our Lady Peace came in like ringmasters of their stage diving straight into two major hits from their Clumsy Album with “Superman’s Dead” and then “Automatic Flowers”. 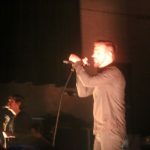 The lead vocalist Raine Maida serenaded the audience with his jarring falsetto ability to jump up and down octaves, which especially stood out on “Innocent”. 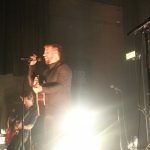 The outro of “Carnival” was filled with much intensity as Raine fades out his vocals with slurred mumbling, eyes shut, pandering around on the stage front. 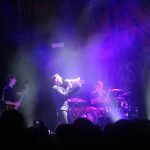 They exploded the stage with red police lights strobing to the beats of “Thief”, as Raine chanted into the crowd with his signature megaphone. They transitioned into a cover of Post Malones smash hit “Congratulations” to flex their fluidity, though the crowd seemed confused. 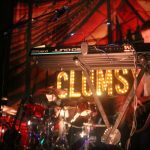 They featured two back-to-back tracks off their new “Somethingness” album with “Drop Me In The Water” and “Nice To Meet You.” The crowd came together waving hands in air and singing along to “Clumsy” as the circus lights blinked in coordinated beats. They closed in the set by bringing out SMSHNG HRTS member Dylan back to the stage for an extended jam session of “Starseed” with all members passionately pounding their hearts out onto the stage.